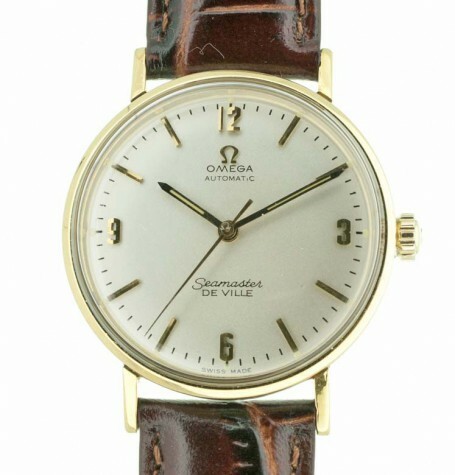 Ultra clean vintage Omega Seamaster Deville wrist watch. 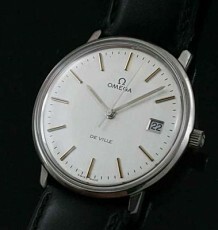 The Omega Seamaster Deville from the 1960’s is perhaps the best value for a vintage wrist watch. The movements used in these Seamaster Deville’s comes from the very highly regarded Omega 550 and 560 series calibres. 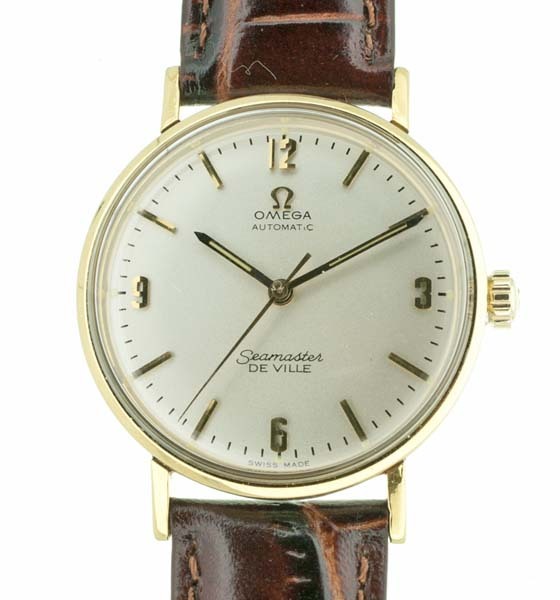 The design was so clean and contrary to most other watches of the period, mush more traditional and has withstood the test of time. 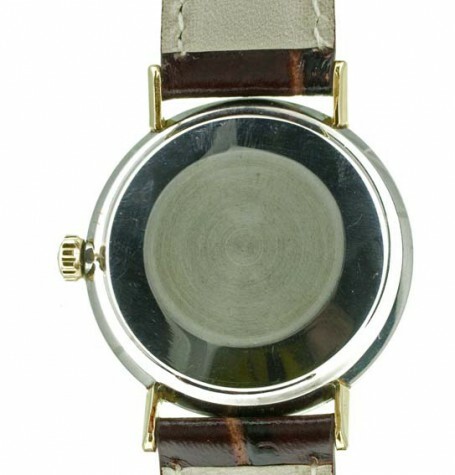 The basic round case with straight lugs it a classic look. 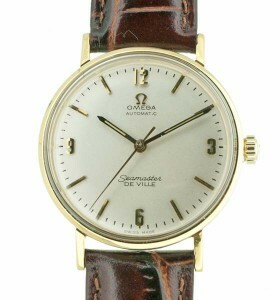 The dial on this watch has been restored and features a pearl toned white background with applied gold coloured markers. 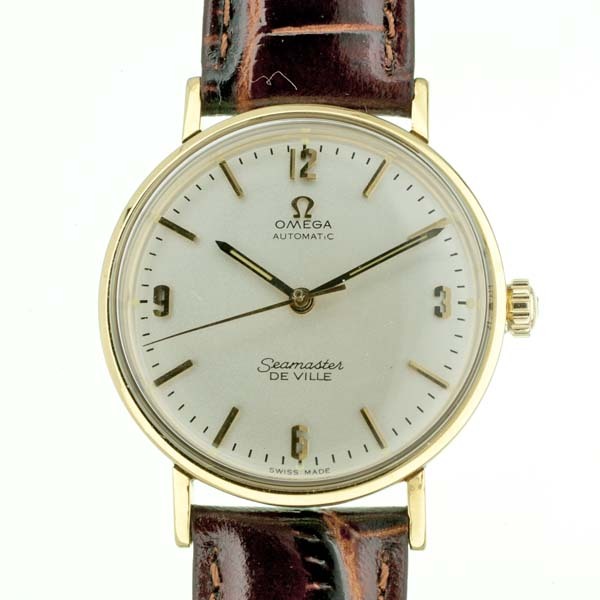 The majority of hour markers are gold stick units however at the 3, 6, 9 and 12 quadrant markers the watch features gold Arabic numerals. This combination provides excellent legibility. 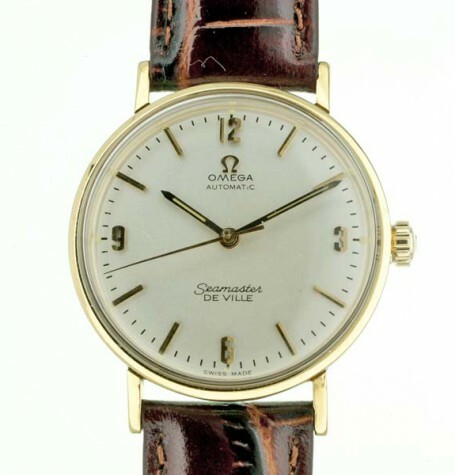 The Omega calibre 552 movement, with 24 jewels, was just serviced and is running flawlessly. 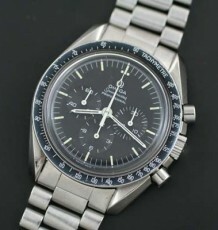 Note the original Omega signed crown and gently etched Omega original crystal. 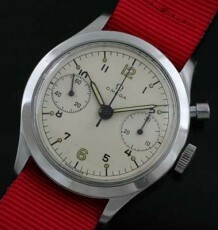 The serial number dates the watch to 1968. 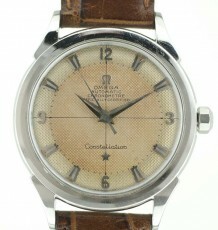 Overall the watch is in excellent condition both mechanically and visually. 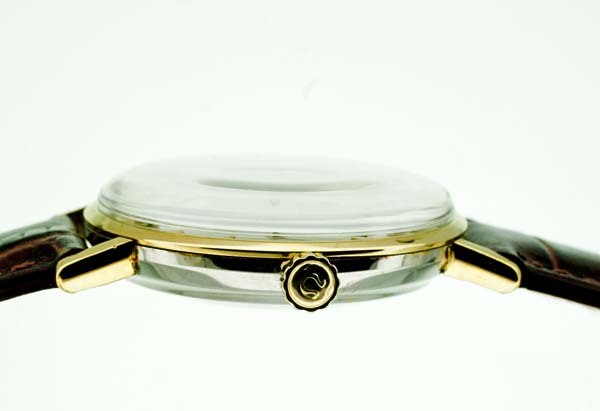 The watch features a solid gold bezel with the main body of the case being gold filled. 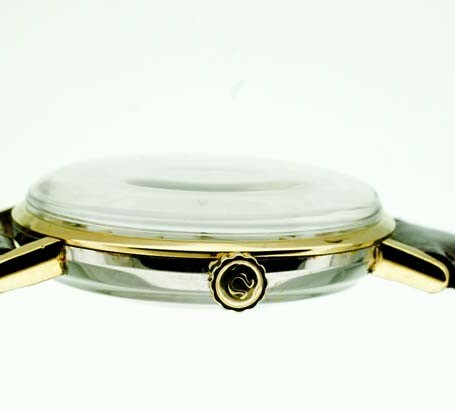 The case measures 34.5 mm wide by 41 mm long. 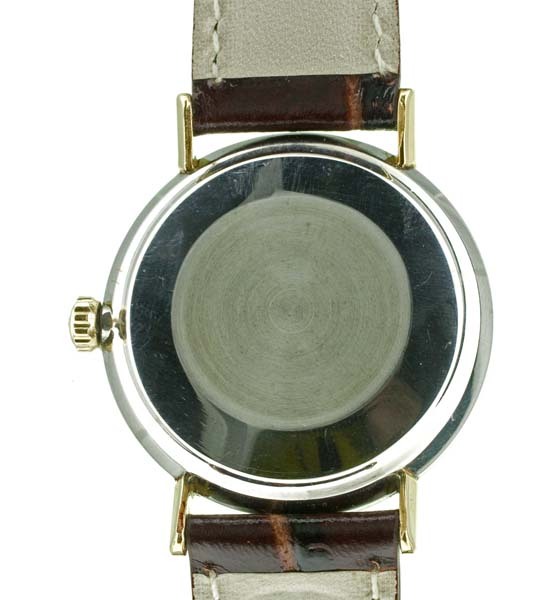 The buyer can choose to have the watch delivered with a black or brown leather strap.